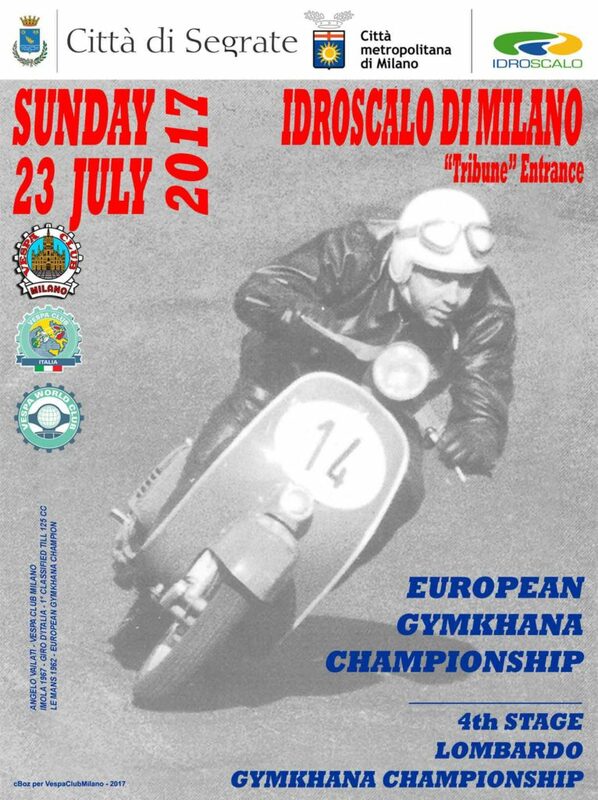 the Vespa Club Milano under the aegis of Vespa World Club and Vespa Club Italy, invites you to participate in the European Championship Gymkhana that will take place on Sunday 23 July at the beautiful setting of the “IDROSCALO MILAN GALLERIES” in Milan.On the weekend of 22-23 July, the park entrance, the parking vans, the camper area and the camping area… WILL BE COMPLETELY FREE!!! Participation fee EUR15.00: included Welkome Kit-two Manche-breakfast-afternoon snack-MotoASI insurance and Gymkhana awards. The awards will take place on the magnificent “STAGE ON THE WATER”. The VC Milano will welcome you to the Idroscalo Park on SATURDAY 22TH AND SUNDAY 23TH to assist you with all your needs.